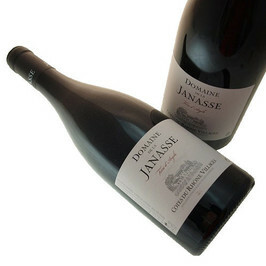 Janasse Vieilles Vignes is the flagship wine of the estate. Still the highest in international ranking. Certainly one of the best chateauneuf du pape ! Grapes 64% Grenache, 20% Mourvèdre, 10% Syrah, 6% divers. Années de plantation: 40% 1920, 40% 1965, 10% 1976, 10% 1993. 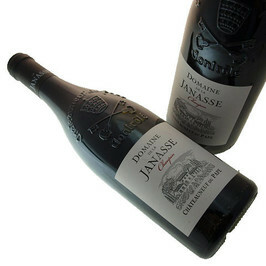 The color of this Domaine de la Janasse Chateauneuf du Pape "Vieilles Vignes" is purple, the nose reveals a bouquet of black fruits and licorice. The mouth, silky and very powerful, is centred on the fruit and the notes of toast. The color is dark with purple reflections. The nose, with discreet aromas of crushed black fruits and garrigue, is just waiting to melt into a noble and fresh material. It is in 1967 when Aimé Sabon takes back the vines of his father and builds his own cellar. 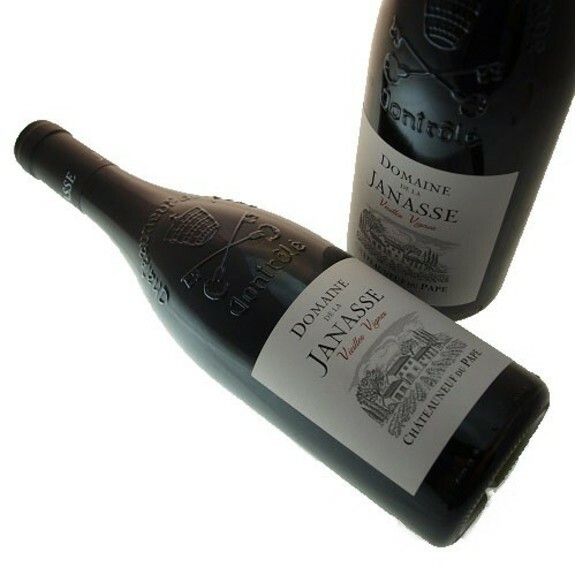 It is what says gave the birth of the Domaine of Janasse, name of the firm station wagon which was to Courthézon, to the said place "La Janasse" in 1973. 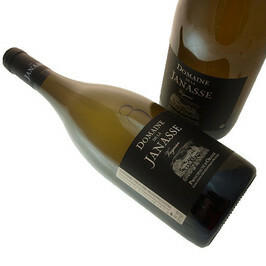 The vineyard of Janasse extends over 90 ha today and it is exploited by the family Sabon. The domain is one of the jewels of Châteauneuf-du-Pape today. Here, syrahs and white vines are crashed on facing north-east sablo-calcareous grounds to protect the freshness and the late maturity of grapes. Mourvèdres, as for them, evolves on rolled pebbles which get the heat of the sun in the daytime and restore it to vineyards at night. The grenache, the vine king, is cultivated for the greater part!